I already mentioned that the Nikon D5100 will be the first DSLR announced in 2011 and according to the picture above, it seems that the camera is ready to be shipped. The D5100 will be the logical update of the Nikon D5000 (already discontinued) and will be placed between the D3100 and the D7000 models. Here is a close up of the label - do you see any traces of PS manipulation? 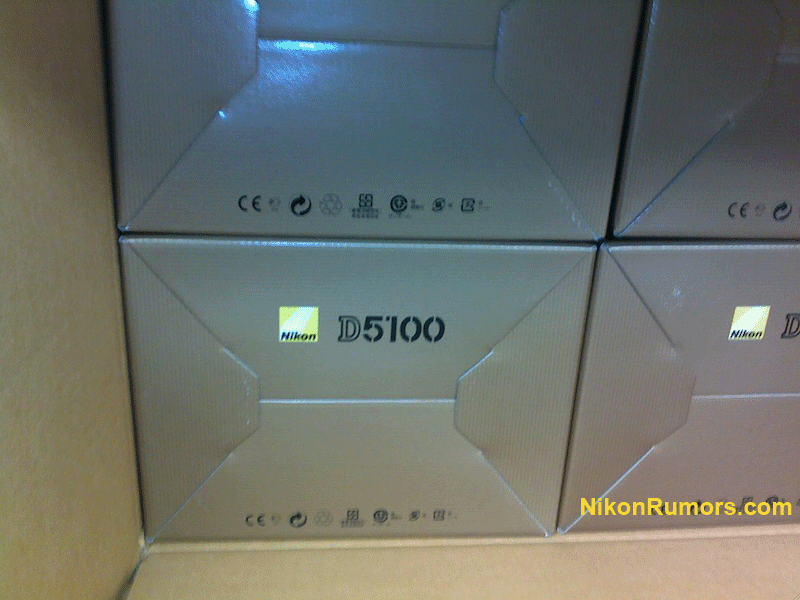 For comparison, here is an image of the Nikon D3100 box. Thanks to "Bro" for sending in this picture.